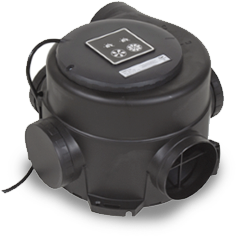 Central Extract Ventilation works by continuously extracting from the kitchen and wet rooms within the property boosting and, if necessary, removing the pollutant air quickly and effectively at its source. 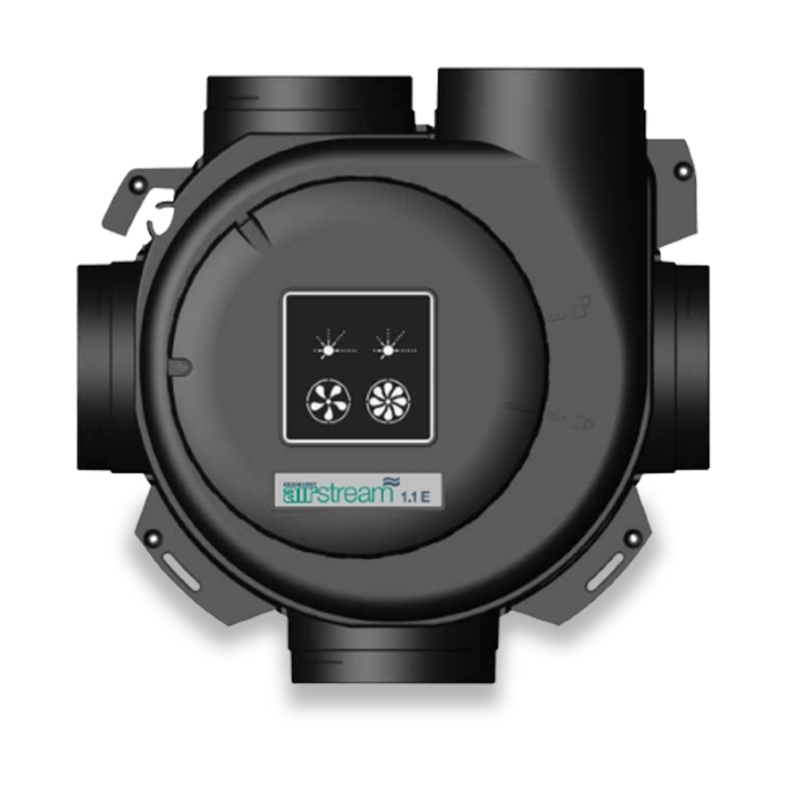 It is a central system containing one fan with multi-spigot adapters that are used to connect with each extract valve via ductwork. The fan extracts from each kitchen and wet room, this air is drawn into the unit and then pushed out to atmosphere via one 125mm diameter opening (e.g. an external wall louvre or roof vent). This type of system works in collaboration with window ventilators within a property, the extraction of air within each of the wet room creates negative pressure within the property causing fresh air to be drawn in via the window ventilator. These systems can be linked to various switches/ sensors that can instruct the system to boost when needed. Typical examples include humidistats, lighting circuits, shower circuits, motion (PIR) sensors, and boost switches.